We live in an age that is showing clear signs of human impact upon the climate. This phenomenon is called ‘antropogenic forcing,’ which is one of the biggest factors of a warming climate with dangerous and irreversible repercussions. The biggest driver of our impact comes from emissions, given off most notably by vehicles, housing, buildings, and machinery. The commonality between these is the very thing that keeps them functioning: fossil fuels. Fossil fuels emit carbon dioxide, and the use of fossil fuels without regulation is pushing our climate to higher, unacceptable extremes. Universities rely on investments into major companies for the benefit of services and funding, and whether or not they know it, some of these companies are in the fossil fuel industry. Put simply, such universities inadvertently condone the fossil fuel industrial activity that is harming our planet. What we of the Divest Lesley University campaign are aiming to do is to remove Lesley University from our contributions to these deadly industries. There are two terms to be familiar with: endowment and divestment. Endowment is the, property, funds, and in our case money, that an institution invests in order to gain return over time. 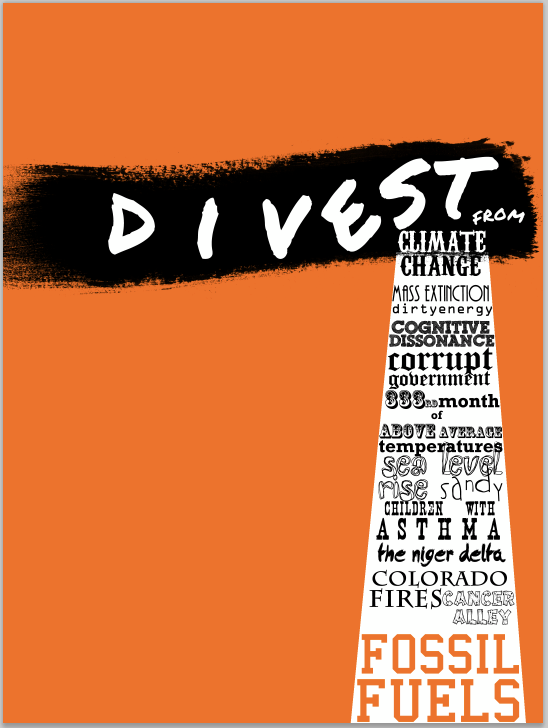 Divestment is the opposite of investment; selling investments (withdrawing) of a specific industry to make a statement on moral values. 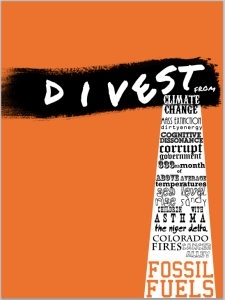 To define Divest Lesley University, it is to divest our endowment in fossil fuel industries towards planetary health and sustainability. What you can do: If nothing else, please join us for our cookout on the Doble Quad on April 12th, 2014 at 12pm. Here we will have more information, be able to answer any questions you may have, and have a petition that we will later submit to the Board of Trustees to get the ball rolling. Check out our group, Fossil Free Lesley at https://www.facebook.com/groups/divestlesley/. The future is in our hands, and every bit of support counts.